Meet the seven filmmakers who turned "The Leftovers" into one of the best-looking series on television. The end is finally upon us. “The Leftovers” airs its final episode this Sunday on HBO, and with it comes the close of one of television’s all-time great drama series. Over the course of its three-season run, “The Leftovers” has earned acclaim for Damon Lindelof and Tom Perrotta, as well as the ensemble cast, but it would be a shame to say goodbye to this series without spotlighting the men and women behind the camera. “The Leftovers” and its point-of-view storytelling always allowed different directors to leave their mark on the series. Through memorable sequences and shots, these seven directors made “The Leftovers” an emotionally visceral and downright spiritual experience. It’s safe to say there won’t be another series like it for some time, but television is in good hands as long as these filmmakers are guiding it. It’s funny to think that “The Leftovers” began with two episodes directed by Peter Berg. Looking back, these first two hours represent a striking balance between the realism and the bombast of his directing style. Consider them the middle ground between “Friday Night Lights” and “Battleship.” Early criticism against the series labeled it as too bleak, but Berg excelled at giving these heavy-handed moments the sense of despair and confusion they needed. Whether it was Tommy screaming in slow motion under water or the brutal confrontation between the Guilty Remnant and the citizens of Mapleton, Berg plunged the viewer into a world of beautiful, tragic distress. You can’t set a show in this kind of world and expect it to be humorous right out of the gate. Berg managed to kick off the series with confidence. Mimi Leder is the savior of “The Leftovers,” as many diehard fans know. Not only did she direct the most episodes, but she revamped the series in Season 2 with her expansive visuals and as an integral executive producer. She opened up its scope, which greatly contributed to the series becoming the absolute best on TV. Simply put, her work behind the camera over the last three seasons has been tremendous. The stoning of Gladys, captured in a wide shot to increase the impact of its brutality, is the series at its most harrowing. Her silent prologue to “Axis Mundi” proved that suffering and sacrifice is timeless. She pulled off two disaster sequences in the Season 1 and Season 2 finales, amplifying the chaos of Guilty Remnant attacks with the use of frantic handheld camera shots. (The Season 2 finale, which clocks in at 73 minutes, was shot in 10 days — a feat largely credited to Leder.) And in “Crazy Whitefella Thinking,” she brought the series to Australia and fully realized it as a neo-Biblical exodus. It’s only fitting Leder is directing the series finale this Sunday. 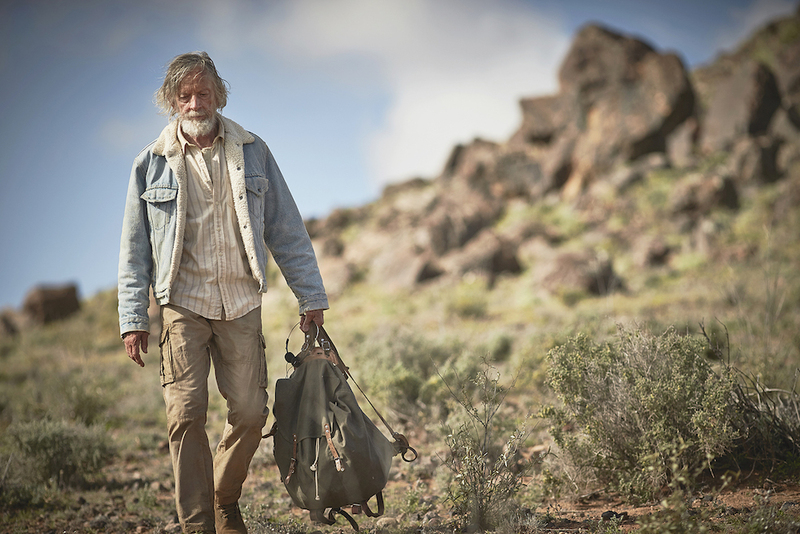 In her hands, “The Leftovers” is never anything but a masterpiece. There’s not much of a through-line in the episodes Keith Gordon directed of “The Leftovers,” and yet they all feature some of the series’ best executed sequences. In “Ten Thirteen,” Meg boards a school bus and holds up a grenade. Instead of cutting to the child passengers on board, Gordon keeps the camera locked on the Guilty Remnant radical, studying her every facial expression as she finds power in orchestrating chaos. In “Don’t Be Ridiculous,” he captures Nora and Erika in slow motion as they get over their pain by jumping on a trampoline. He turns a brief moment of relief into a longer, more eternal calm. “Game of Thrones,” “Better Call Saul,” “The Americans,” and “The Leftovers” have all featured the work of Daniel Sackheim over the years, making him one of the best TV directors in the business right now. His Season 1 episode, “The Garveys at Their Best,” is the rare episode to take place before the Sudden Departure, and Sackheim has a field day envisioning a world that may be brighter but is still every bit as empty. (The way he shoots and lights the inside of the Garvey’s home is incredibly telling: all bright open spaces and white empty walls). It’s that final shot of “G’Day Melbourne,” however, that cements Sackheim’s legacy on the show. After a vicious fight that sees Kevin and Nora breakup, Nora sits alone in her hotel room as the fire alarm sprinklers rain down. Sackheim cuts to a close up of her drowning eyes. It’s the entire series’ sense of inescapable pain in one image, and it’s the very best shot of the show. Carl Franklin’s filming career in the 1990s was defined by mystery thrillers like “High Crimes,” “Out of Time,” and “Devil in a Blue Dress,” but he’s been at the forefront of Peak TV over the last decade with directing credits on “House of Cards,” “The Affair,” “Homeland,” “Vinyl,” and “Bloodline,” among others. His work on “The Leftovers” defines the series in two important ways. He was behind the camera for “Guest,” the Nora-centric Season 1 breakthrough that introduced the kind of POV-storytelling the series would become acclaimed for. Franklin also rounded out the rough edges of Laurie Garvey in her two standalone episodes, “Off Ramp” and “Certified.” The way he handles critical goodbyes between Laurie and various characters in the latter is especially powerful. Notice the warm lighting of Laurie and Kevin’s faces as they swap stories in a rare moment of joy, or the single shot of Laurie on the phone with her children, her emotions overcoming her as she contemplates a tragic decision. It’s direction so controlled you might not even notice it, and the series was all the better for it. “The Leftovers” became well-known for devoting individual episodes to individual characters across its run, and Lindelof wisely let the same directors guide these point-of-views in different seasons. Take Matt Jamison, whose Season 2 and Season 3 standalone hours are both directed by Nicole Kassell. Kassell, a veteran of both film (“The Woodsman,” “A Little Bit of Heaven”) and television (her work ranges from “The Killing” to “Vinyl” and “The Americans”), takes Jamison’s spirituality to task in these installments. “No Room at the Inn” is an odyssey that’s equal parts sprawling and self-contained, while “It’s a Matt, Matt, Matt World” is mostly a one-location chamber drama that feels religiously limitless. They couldn’t be more structurally different, and yet Kassell finds the dramatic throughline by bringing the viewer into Jamison’s headspace as his religious devotion is challenged from all corners. In indie dramas “Compliance” and “Z for Zachariah,” Sundance favorite Craig Zobel tapped into the psychology of his characters in the wake of extreme situations, which made him an ideal choice for “The Leftovers.” He was the directorial eye behind the show’s landmark “International Assassin,” where he made those unexpected fight scenes feel as viscerally out of place for the viewer as they did for Kevin. In the series’ penultimate episode, a sequel of sorts to “Assassin,” Zobel delivered an all-time great shot: The sight of nuclear missiles launching across the Sydney skyline as Kevin and Patti watch from a roof. It’s an image so unnervingly calm and speaks directly to the show’s power of mixing beauty with pain. But while Zobel’s two trips to the show’s purgatory will always be his defining mark on “The Leftovers,” his best work is probably the Season 2 episode “Lens.” The hour culminates in a simple question-and-answer session between Nora Durst and Erika Murphy. It’s here where Zobel turns simple shot-reverse-shot filmmaking into something far more intimately piercing. The actresses are framed in progressively tighter close-ups as Zobel evokes the best of Jonathan Demme. It’s a sequence straight out of “The Silence of the Lambs,” and it’s one of the series’ best. Watch IndieWire’s recent interview with Mimi Leder below. “The Leftovers” finale airs Sunday, June 4 at 9 p.m.